James Schramko and Peter Moriarty are back for the second installment of our Productivity Using Google series. In this episode, they talk about some of the best features and benefits of having a Google account and what the best google apps for work. 05:53 – Should you switch from Dropbox to Google Drive? 23:13 – Do you need to make calculations? James: James Schramko here. Welcome back to SuperFastBusiness.com. You’ve arrived into episode two from our Productivity Using Google series. I’ve got back my special guest, Peter Moriarty from ITGenius.com. Welcome Peter. Peter: Hey James. How are you doing? James: I’m doing well. So if you haven’t heard our first episode, we talked about Google Apps for Work. You should have that up and running by now. By this stage, you’ve got a professional email address for your business, you’re enjoying some of the wonderful benefits of having an easy-to-search and well-organized email account, and you’ve also picked up a whole bunch of extra features. In this episode, flexibility, we’re talking about some of the cool stuff you get with your account that can further increase the productivity of your life and make business so much easier because you’ve got one solution that does so many things. So Pete, are you ready to dive into this? Peter: I am super ready. I’m excited about this one. James: Let’s talk about Calendar because schedule is something vitally important to entrepreneurs and team members. What sort of features are we getting with Google when it comes to the Calendar? In my case, I was using iCal and then one of the hugest innovations, I don’t know if that’s actually a word, one of the most important changes that I had in my business was to get onto a scheduling tool. I use Schedule Once, and it talks to Google Calendar. But I did find that I was able to find the Google Calendar talk to my iCal. So as long as I put things in my Google Calendar, it will actually push notifications to my phone. So it doesn’t mean you can’t use other tools because a lot of them talk together. Peter: Yeah. The real power of Google Calendar comes out when you start working with a team. Obviously, if you’re on a Mac and you’re a Mac person, you can use Apple Calendar and using their iCloud server, it’ll synchronize to your phone. That’s fantastic as a consumer product but when you start to add other team members into the mix, it gets a little bit messy. Sometimes, invitations get lost. You might get out of synch with your calendars and miss appointments, that kind of thing. If you’ve worked in a corporate environment before, you may be used to Microsoft Exchange and Outlook Calendar, allowing you to see what your team members are up to, what’s on their calendar. Use it for scheduling, maybe have a PA or a VA help manage your calendar. So Google Calendar allows you to have a proper business calendar that works for teams with your business email addresses. So some of the things you can do with that if you’ve got an office, maybe use it for scheduling out meetings in the boardroom, or if you’re catching up with colleagues and other business, send off invitations to them, you can attach documents to a meeting, you can schedule a video call as a part of a meeting with Google Hangouts. But the key thing is that if you’re running a business and you’ve got a team right now and scheduling is important to you, further than just keeping everything in synch, being able to collaboratively work on each other’s calendars is really important. So if you’ve got maybe your booking flights and you want to flick over a flight to a team member, a virtual assistant and say, “Hey, do you mind just putting these flights or this accommodation to my calendar for me?” Being able to grant access to someone else to manage the events in your calendar can help you to save time as a business owner. James: Right. And I like how it’s still just one click away. There’s that nine-box grid in our email account, and from there, we can very easily navigate to all of the suite of tools that we get with this. I like how we can see team holidays, and that’s important if you actually have a business team in another country for example. They have different holidays in different countries. James: So you can see that in your calendar. I like how you can very easily just add appointments by hitting create. It’s quite easy to use, and you can invite people, and they can let you know if they’re available or not, and they can modify the event if you let them. So there’s a lot of features that you can have that are built in to that, but it’s quite easy to operate. You can even drag and drop too. You can just highlight and type, and it’s quite easy to use. Peter: It’s very easy to use. And remember when we say “team” to the listener, if you’re a solopreneur, by team we mean your contractors, your partners, the people you work with in the business. Another way of working with your team members, and this is something else we wanted to cover in this episode is Google Drive. How do you store files and how do you share files with your team members? Because once you’re on Google apps, if you’re paying for the standard plan, which is $5 a month, you get an allocation of 30 gigabytes of storage shared between mail and Google Drive. You can use that to store and share your files, and it works quite a bit like Dropbox does with a few key differences. It’s got some more powerful folder sharing, and it’s also got a bit more integration with the rest of the Google system. So when I’m composing an email, I can pick a file straight from my Google Drive and pop in a shareable link to that one. But what Google Drive also lets me do is, just like Dropbox, I can install Google Drive on my Mac or on my PC, and I can have all of my of offline files put into Google Drive. So my PDFs, my Word docs, images, movies, whatever I’ve got, I can put them into Google drive and have them safely synchronized across to all of my different devices. James, you’ve started using Google Drive as well because I know you were a big Dropbox fan, but you’ve made the switch. Why don’t you tell us about that? James: I’m not happy with Dropbox, Pete. James: I had a large team. We had over 60 people in the business, and we had a professional Dropbox subscription, and it’s not cheap. Peter: It’s not cheap at all. James: It costs six and a half thousand dollars a year. James: Thereabouts. I renewed that in December and they only do it annually. I sold the SEO business and the website development business and with that went large portion of the team for my business. So I’ve now got a small team of 10 in the business. But Dropbox wouldn’t give me any kind of credit or rebate for the unused portion. They don’t care. It’s like, “well you paid up until next December, too bad.” So I feel like I burned about $4,000 with them. James: I’ve heard people talking about Drive. Initially when Drive came out, it wasn’t really effective for us to move across to that because we had a lot of data. I mean we had a terabyte of data. You can imagine the amount of content we’re creating in an SEO business, with videos and stock media. We had a huge image, music and video library. We had a lot of projects, jobs, etc. But what I found is that we don’t really need that with a small team of 10 for publishing so it’s much more practical for us to consider moving. So there’s a transfer cost, right? This legacy sunk cost of having this one platform was hard to overcome. But now, I really dislike Dropbox because of that. I started testing Drive, and it’s become easier and easier to use. You have an app on your phone. It has again one click away from my email. I can get into the Drive folder. What I found was incredibly good. It was when I click on Drive, I find again, it’s super searchable. I click on my Drive and it’s got all the folders listed there. What I did was I actually created a folder that was really easy for me to put all my stuff into. I’ve even replicated my Desktop. So where I used to have a Desktop, now I’ve got a folder that’s called Desktop. James: In that is what I used to keep on my desktop and I use to synchronize with Dropbox, but I don’t need to do that anymore. I did this simple maneuver, this is really the one power punch. This is the power move. I grabbed the URL from my browser, and I dragged it to my desktop and then I renamed it Desktop Cloud. All I need to do is click on that link, and it opens up my Google Drive desktop, and there I am. I’m operating the cloud. So if I happen to lose my computer or something goes wrong, everything that I’m working on is right there sitting in my Cloud Desktop, virtual desktop. So I’m not using my computer memory or space. I’m not clogging up the cache. It seems to be running really fast and effectively. I don’t know about you Pete, but I used to run out of memory all the time on my computer. Especially with Dropbox. You had to selectively un-sync files to make sure that you aren’t going over the limit because a lot of the shared things we had in our team would max out the measly memory. So I was able to actually shrink back down to a Mac Air to run my business because I don’t need all that memory on my computer. In fact, when I look at my computer now, I’ve got 452 gigs free of 499. So I’m only using a fraction of my computer, and it’s really just apps. Peter: We don’t want to fill up the Macbook Air with all of your videos from the last five years, do you? James: Oh, I do not. I really do not. So that’s a great feature, this Drive thing. The fact that they have separate apps on the phone has been really powerful. By the way, with the team, so easy to do what I used to do with Dropbox. When I record a podcast like this one, straight after we finish, I would actually go and click on my podcast shortcut link in my browser, and it’s called Needs Editing. And all I do is I just go and create new folder and I’ll name it exactly the same as this episode. I’ll actually name it Productivity Using Google Part Two Flexibility, and that is what will appear on my website. So I’ll actually name that folder, and I’ll drag in the audio from this call into that, and my team are copied into that. That means they can access the media as soon as it’s loaded into my cloud drive folder. It shows me the progress bar. I can see when it’s uploaded and then I can remove all the media from my computer because I know that it’s there, and it’s easy to access, and it’s shared. Anyone can work on these things. In fact, if you’ve got anything more on Drive or should we switch to the sheets and the docs. Peter: I just want to make one important distinction before we move on, and that is that if you want to use drive like Dropbox, you still can. So some listeners may have day-to-day work that you need to get done and for myself, I’ve got one or two folders that I do like to have synchronized down to my desktop, stuff that I can work offline on if I need to, and also, maybe things that I just want to easily have access to, like bank statements, and tax reports, and that kind of thing. So I choose to synchronize those down to my desktop. We talked about a few of the advantages of using Google Drive, but if you’re already using Dropbox, you might be saying, “Well, I can do all these things with Dropbox, why should I switch?” Our answer to that is if you’re on the Google apps platform, you’re using Gmail, you’re using Google Calendar, you might be using Google Hangouts, but you’ve got Google Drive just sitting there. It might be dormant right now. If it does everything that Dropbox does well why not use it because the integration is better. When you open up an attachment in your Gmail and an email that’s come in, you can save it straight to your Drive. When you’re sending an email from your Gmail, you can quickly drop in a document from Google Drive. That makes it easy for everything to kind of work a little bit easier in harmony. So as you grow and as you scale the business, you want to try and keep things simple in terms of your level of IT management that you need to do, and having it integrated with the rest of the Google apps ecosystem keeps it nice and easy for you to manage. James: I ended up with 66 and a half gigabytes. But with the simple search feature, I can find anything that we used to have in a whole business. That’s really important. So having that Google account, which you control, and you can allocate usernames, it really lets you do a lot of things, like automatically, your documents are just within the business unless you decide to share them externally. I love that feature. We’ve used some of the other features particularly well. I’m not a fan of all-in-one solutions because generally they’re flawed in many of them or they don’t do anything well. Peter: Yeah they do 80% of everything, right? James: But I’ve got to say, Gmail is definitely hands down the best email system. James: I’ve found Drive to be equally as useable as Dropbox for what we do. I love the docs. I just love the docs and the sheets. So let’s talk about that for a minute. Peter: Let’s talk about it. I want to start with a little bit of a story. If you think about in your business or in a business that you’ve worked in before, being in a more corporate environment how collaboration is usually done. If you sit down for a meeting with a couple of colleagues, what typically happens in that meeting – three or four people sit down in a meeting room and everyone’s taking their own version of notes, or maybe if you want to get work done with someone and they’re outside your business, you’d work on a document and you’d either drop it in Dropbox and wait for it to synchronize across to that person or you’d email that document across to them, but it doesn’t really allow you to get work done in real time. Google really changes the game with that. Google docs and Google sheets, there’s also Google slides, which is their PowerPoint rip off, these online live documents allow you to get work done in real time yourself but also with your colleagues collaboratively. Two people can have one document open at exactly the same time and get work done together. James: Well we’re doing that right now. During this call, we talked about the idea of having a podcast. In the interest of having a good podcast, we decided it would be a very good idea to prepare in advance. We put down some bullet points and notes. And as we’re doing this call, we both have the same document open, but we’re not in the same location. I can see where you’re clicking around the document, and you can see where I’m clicking around. So we can actually highlight things in the sheet, and we can see that’s sort of an idea we want to go. And even as the call goes, we can delete points, and refine it, and keep it nice and tight. Having that level of collaboration is extremely important when you’re not in the same office, which is certainly my case and a lot of my client’s’ case. They have a team that is distributed all around the world, and it’s nice to see other people collaborating and working together without having to be sitting at the same desk and sharing the same piece of paper. Peter: The tools really change the way that you do work. If you can imagine sitting in a meeting room and four people open their laptops and open the same document, and so there’s one set of notes for that meeting. But you know, when you’re using this document, do those four people have to be in the same room? Well, no they don’t. They might be four people on a conference call or they might be four people not even talking to each other. Maybe just making notes together in one document. We use this very specifically for one function of our business and that’s our implementation of OTR or OwnTheRacecourse. And so, when we publish our media and our content on our website, podcasts, videos, certain media that goes out to social media as well, we use one big spreadsheet, which is called our content tracker, and that tracks everything that we’re doing. So each piece of content has new role on the spreadsheet, and we list down. OK, which platform is this going to be syndicated to? And where’s the blog link? If there’s an email EDM that’s going to send this out in a broadcast to a database, where’s the link to the email script that we’re going to put in there? That one document allows myself in Sydney managing the business, my media team who are in the Philippines, making all the administration happen, my copywriter who is in Canada, and our video editor who is in the United States, all get work done together. But the key thing is that we don’t have conference calls. We don’t have emails back and forward. We don’t need to do silly work-in-progress meetings or anything like that because we’ve got one spreadsheet that tracks exactly where everything is up to. That’s our little productivity system for getting things done. For those that are working with remote teams, you probably already started using these documents or maybe you’re using another productivity tool like Asana, or Teamwork.com, or Podio, or something like that for task management. But if you’re not yet using Google docs or if you’re trying to get work done and in a Microsoft Office document and dropping it into Dropbox and waiting for it to synchronize and maybe even now and again, you get a conflicted copy because two people tried to work on it at the same time. Google apps and Google docs is the next step up from that. It allows you to truly get work done together without being shackled to a particular location where the other person is. James: You’d be crazy trying to use Word docs. For example in our business, I’ve asked them, “please, don’t ever send me a Word doc.” I don’t have Word on my computer. I don’t use it. So again, a traditional default setting for most people is they’re going to have a Windows computer, and they’re going to use Word. We just use docs. So I’d say, “Please put it in Google, and share it with me.” That’s the SOP, the standard operating procedure. That works so well. Peter: And even for someone who’s outside your business as well James. Us, we’re not in the same business but we’re able to get work done together. And you don’t have to have a Google apps address for me to share this document with you. You can generate a sharing link with a Google doc and you can share it with someone who doesn’t have a Google account. So if you wanted to get work done with a supplier, or with a contractor, or a partner, or a client; for example, some of our customers use Google spreadsheet to have a project plan, and that project plan is dynamic as the project progresses, and so they share a Google sheet with their customers, and the customer can make up dates, and submit issues, and they can both have a real-time update of the project, a timeline and how things are going. And then for example, another one of our customers in the financial services base, they actually put together their recommendations for the advice that they give with their financial products, and they send that as a document or as a proposal to their customers, and they allow their customers to comment on the document. So they tick a little box and it says, “Share this document. Don’t allow anyone to change the text, but allow them to add comments.” And so the customers and their prospects, they’re working with add comments to the document, and there’s that real collaboration back and forth rather than the kind of old school way of doing things of authoring a document, attaching it to an email, sending it along, waiting for it to come back. It’s a very linear way of working, but it takes time. It’s a bit inefficient. It turned out they were using Google and sharing it with each other as the actual system to run the business, and they’re updating Basecamp. And I said, “Why are you updating Basecamp?” And they just said, “Well it’s for you.” I said, “Don’t worry about me. I’m worried about you. Use whatever you want.” That is when we switched to Google for running our SEO business. We were able to very clearly have tabs. And you can use things like highlighters to show what’s been done. You can have a simple Kanban system, if you’ve never heard of that, it’s to do, doing, and done. So you’d have three columns, and you can move things across from one column to the other, or you could use a highlight system. A to do might be green, and doing might be yellow, and done might be greyed out. So you’ve got stuff that needs to get staged up and running. Yellow is in progress and then grey is done. It’s a very simple, visual way to see that you can run it all in a spreadsheet. But there’s so much more you can do with the spreadsheet. And just also to cover off. If you happen to be working with people who do have Word or Excel, or you need to export to that, you can actually import things and export things. It’s really quite flexible as a system if you need to. So I just wanted to mention that as a little side note here if you do get stuck with a different format. It seems infinitely configurable. Peter: The biggest criticisms of Google docs is well, number one, they’re different. They’re different to Microsoft Office. I don’t have all the same bells, and whistles, and buttons that I’m used to. Our response to that is that Google have a far, far, far, superior ability to actually collaborate with your team members, and you should definitely, definitely be using a document when you need to share it and have multiple people work on it at the same time. But if you’ve got an Excel spreadsheet that an outsource CFO has given you and it’s got some fancy macros in there, and you absolutely need to use Excel for that, well go ahead, keep using that document and maybe just save it in your Google drive. As long as you don’t need to share it with anyone, you’re going to be OK.
James: And it can make these awesome calculators and templates that you can use. I’ve built this sheet, actually it’s called Wealthification, and it allows me to plug in inputs when I’m doing coaching with someone who has quite a few business divisions, and I can start measuring and scoring things and have it actually end up calculating a simple idea of where we should be focusing based on effective hourly rates, the passion interest, the leverage of the business, the competitiveness of the market, and how much volume is going, and where the volume could come. We plug in all these things and then it calculates. So it’s still got quite good calculation features, and it has wonderful crafts in reporting. So I’ve been using forms, which is that front end to a spreadsheet. So I can put a survey up that I might have in the past used Survey Monkey. I used to have a subscription there. I don’t need it with Google now. It can create a beautiful form, upload my custom image, set the background theme, choose all different types of answers, and then it’ll make me these incredible pie graphs and charts based on the outputs, and I can see all the responses. I can send it out via email. I can embed it, or I can just send people straight to the link so it’s super powerful. One of the greatest little forms we did was just for the team. It was just, “Hey, what did you do today?” And they just go to that and they just type in what they did and hit submit. It was populated in this enormous spreadsheet. So we actually could work out our payroll. If they put in what they did for the day, we knew that worked that day, so that counted as a work day, and of course the manager can see at one glance what the team has done. It was such a simple system. I’ve been using forms a lot lately for doing Ryan Levesque’s Ask Method. I’ve been surveying my audience and then calculating and scoring. I can use all the same formulas that I’ve seen him use on Excel in that Google doc. I can calculate the length of responses, and score them, and extrapolate them in all these really cool things to work out what my audience is interested in by the hyper responsive results, and I can take that information, and now I can easily share it with the team, or the copywriter, or webmaster, so they can incorporate that data directly into my business without having to export or use any phone external tools because it’s all in this one system. Peter: That’s very cool. It’s important to add in there to get a tiny bit technical for a second, but you can get this data in or out of the spreadsheets and into other cloud apps as well. 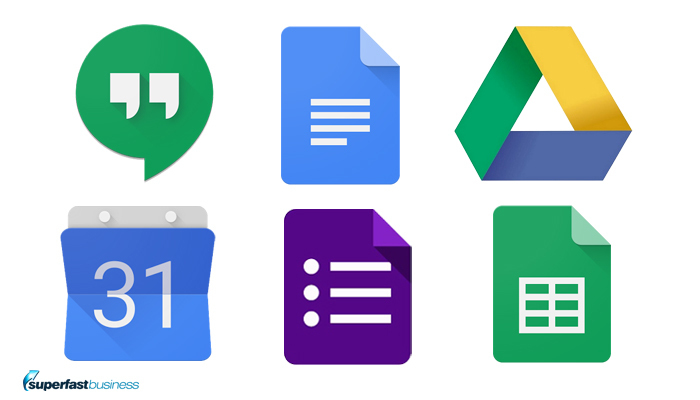 So Google forms is kind of part of the Google drive family, and the Google docs family. What you’re referring to there James, in case the listener didn’t pick it up was when you input data into a Google form, all the responses effectively get put into a Google spreadsheet. So then you’ve got this live updating spreadsheet as the form responses come through. But once that data is in the spreadsheet, you can do lots of things. You can create a pivot table, you can start doing funky formulas and all those kinds of things, but what you can also do is if you want to get to kind of expert level is you can maybe even push that data back to your marketing database or push that data to your website. And the way you do that is you use a cloud connector tool like Zapier. So that’s zapier.com. What Zapier does is it connects different cloud tools so you can point Zapier at your spreadsheet and say, “Right, I want to take someone’s first name or last name, and maybe their email address, whatever you’ve asked for in your form, and as soon as someone completes this form, I want to automatically add them to Ontraport, or Infusionsoft, or Active Campaign, and maybe assign a certain tag or add them to a particular sequence.” Zapier is that tool that lets that happen. James: So you can leave a form that people fill out and then it’s pushing it into another program somewhere else. Peter: Absolutely. And the key thing is with the Google forms, they’re so easy to set up. If you’ve used Survey Monkey before, Google forms is even easier. James: Pete, even I can use it. Peter: And you know, you pay your $5 a month entry fee for Google apps, and you can make as many forms as you want because you’re not limited. Google don’t even count Google documents in your quota for Google drive. So you can literally, literally be unlimited with that. But you can also go the other way. So we happen to use Infusionsoft and each time a sale happens for a Google apps implementation because that’s our core business, we have a new row added to a spreadsheet, which is our project’s tracker and that project tracker has every single implementation that we do for customers. So it might be one employee, it might be 100 employees, who’s the key person of contact on the business, what mail system are they coming from; are they coming from Microsoft Exchange, are they coming from Mac mail, are they coming from cPanel email, who’s the project manager, we put that there on the spreadsheet. And as the project progresses, different milestones actually have the dates added when we reach certain milestones in that project, and then at the end of the project, we send a survey, we ask for some feedback when we get a score from the customer. How well did we do on implementing Google apps for that particular business? But all of that data we’re able to do, deep, deep data analysis on. We’ve now got hundreds and hundreds of projects in this one spreadsheet, and we’ve been able to do some pretty funky pivot tables and pull out really interesting insights from that data. But it also helps us manage by exception as well. You can set up a kind of dashboard and say, OK, with a filtered view in Google sheets, I can say, show me all projects that are yet to go live. So show me all projects that have been started but are not yet finished. Or show me all projects that have past their due dates and are running behind. This kind of views help you to separate masses and masses of data from what’s actually important to look at and what’s actually important to manage. Peter: To be clear that’s using Zapier. So the Zapier connector when a sale is made in Infusionsoft, all the information from the sale is automatically added to a new row in the spreadsheet just automatically. James: And I like that there’s this little icon on my phone called sheets, and I can click on that, and I can access any of these forms or sheets straight from my phone which been such a huge change. I don’t think it was as easy as that before but it’s certainly easier now. You can do the same with drive and documents as well. Peter: That really picked up the mobile apps. I’ve got an example, when I was on a taxi on the way to the airport and one of the team, they called me and they said, “Hey Pete look, we’re about to send this proposal to this customer. I just want you to look over it and give us a few tips.” And I thought, oh you know, I don’t want to have to pull up my laptop. It’s hidden away in my bag. I think it was probably in the booth at the time. But I had my iPad with me. And so I was able to whip out the iPad, jump into the document, make a few edits, make some updates, and you know, I could see my team members were in on the document as well at the same time, but those edits happen in real time, and then I was able to let the team know, this is done. So having the flexibility of working across devices and locations as well, that’s the real power of Google docs. James: Right. And just two more things, one is, my goal is to be able to operate my business from my mobile phone. Google has really allowed that certainly from the mail perspective, which is one of the key ways that I was running the business prior to using Slack. And I don’t know if Google has a Slack competitor or replacement yet. However, that has been a great communication tool, but we still link to our docs. By having that sheets, and drive, and docs icon on my phone, and the calendar actually, I’m able to just access it, push one little button on my phone, and I’m right there. So that’s one thing. The second thing is when it came time to sell the business, one of the biggest things that is important to a buyer is they want to know all of your standard operating procedures. Some people call this their playbook, other people would call it procedure manuals. But what we did is we had a Central Assets Register, and that is one doc called Assets Register, and it’s simply linked to every document that we needed to run the business, from payroll through to the workflow for each role within the business. That one document is a valuable document. You can have it right there, sitting in the cloud, protected to your account, with the right people connected to it. This actually replaced us needing to setup some kind of external Wiki. Now I know you can do this with Google sites and some companies do it like that. So you can take it to whatever level you need to do, but that would be included within the tool suite. So whatever way you want to do it, the tools are there to do it in this one account. Peter: One of the things that we use Google sheets for, very similar things there is, we have what we call support matrixes, and those support matrixes is a spreadsheet for each different area of the business. So we have one for sales, we have one for finance, and we have one for our support and projects implementation and our service team. Those are effectively our cheat sheet for managing the help desk and helping respond to customer queries because we might deal with 30 to 50 inquiries per day from customers, and we’ve got a decent size support team, and they need to have structure and consistency in how they’re responding to our customers. So what the support matrix has it is it starts with a problem, and those problems are customer problems. So for example, with finance, a customer might have a problem of they need to update their credit card or they might have a problem of, “I’m having trouble logging in to pay my bill. Can you help me reset my password to the account system.” And then in the next column across, it says, what are some of the things that customer might say to describe this problem? They might not now they have that problem, but here’s the kind of things that might say, describing the symptoms of having that problem, and so that’s the second column in there, they’ve got the things they might say, and third is what’s your action, what’s your response? So that’s where we put our macro or our scripted response, which goes back to the customer that says, “Hello customer, you seem to be having a problem with X. Here’s what we can suggest to fix that problem.” And then if there’s a particular product or an action that we need to take, a product that we need to recommend, or an action that we need to take, that’s in the next column, and that might be to offer them, not in the finance, but if it’s a problem to do with technology, it might be offer them training, or offer them a product to fix it, or offer them a consult session or something like that. And then in the last column is a link to the process. So link to the process in how to implement that solution or how to help someone sell that product to get that in the hands of the customer. So those support matrixes are super, super important for our support team and a really great way of having some structure behind how our support desk and support system runs. James: Great. I remember you showed this to me once, and it was simply as sharing it with me and saying, am I missing anything? And I was able to access it, and update it, and comment on it. I like that you can actually can comment on things, documents, you can have little call outs where you can highlight things and have people ask a question in that side column. So that’s a really cool feature as well. So Pete, let’s hang it up here on this episode where we’ve been talking about the flexibility of Google, and we talked about some of the tools other than the Gmail, which we covered in episode one. We’ve gone much deeper here into Calendar, and Drive, and Docs, and Sheets, and Forms, and you also mentioned Hangouts that you can have with your teams, which comes within that tool set. In our next episode, we’re going to be covering productivity. Just remember, if you would like help setting all of these up, if you’ve got a big company, or you have a lot of different tools and systems, and you’re not sure about this tech stuff, head over to Pete’s site at ITGenius.com, and his team will be happy to help you out. Thanks Pete. Peter: James, thank you so much for having me again.